Thin clouds at about 5 km altitude are more ubiquitous in the tropics than previously thought and they have a substantial cooling effect on climate. This is shown in a recent study by researchers from ACES and colleagues from Stockholm University and the University of Miami, which was published in Nature Communications. Mid-level clouds are currently missing in global climate models. “This study was initiated by repeated observations from a window seat on planes during my travels across the tropics where I often saw patchy widespread thin mid-level clouds in regions of active deep convection. Our own eyes are still some of the best instruments we have today,” says Radovan Krejci, Researcher at ACES and a co-author of the study. Clouds play a pivotal role in determining the Earth’s climate and radiation budget, yet we still have a lot to learn about them. In particular, little is known about mid-level clouds, i.e. clouds located at approximately 5 km altitude, as these clouds are challenging to study. With the help of satellite observations from space-borne lidar instruments, the scientists found that these thin clouds are relatively more common above land than above the ocean and their cooling effect could offset the warming effects of high cirrus clouds. 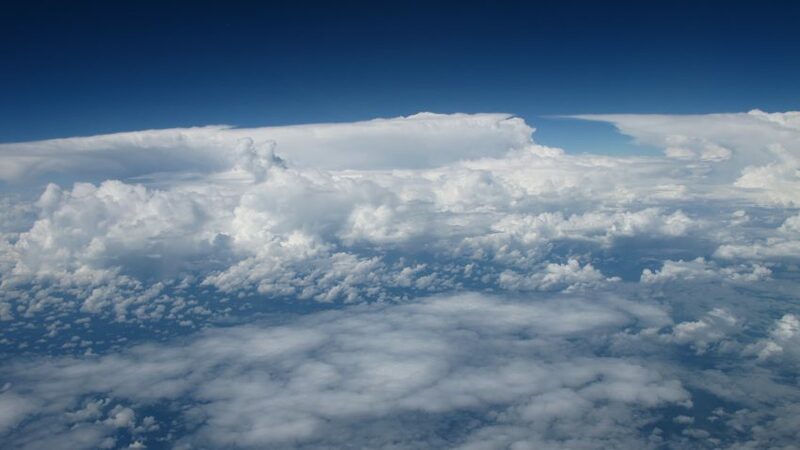 “Formation of mid-level clouds is not well understood yet, though, we do have indications that the mechanism may be linked to phase changes between ice and liquid water in deep convective clouds and the degree of deviations from the normal change of temperature occurring at 5 km altitude. A lot more work is needed to understand this phenomenon,” says Radovan Krejci. Clouds cover about 70% of the Earth’s surface at any time. Different types of clouds affect the Earth’s climate differently: low liquid clouds, such as the cotton-like cumulus, cool the Earth while high altitude ice clouds, such as the wispy cirrus, warm the climate. Overall, clouds cool the climate by about 20 W m-2. In contrast, the Earth receives on average about 340 W m-2 energy from the sun every day and our current emissions of anthropogenic greenhouse gases warm the climate by about 3 W m-2.